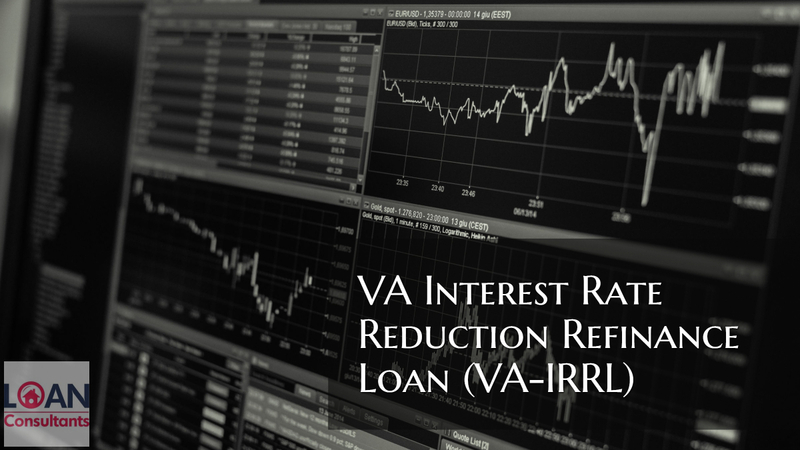 VA IRRL is a mortgage refinancing program which is available for existing home owners who have bought their home with VA mortgages. What Is VA Streamline Refinance loan? Also, VA loans have very flexible requirements, very low mortgage interest rates and since they are guaranteed by the government itself hence there is no need of Private Mortgage Insurance (PMI). A veteran must have served for at least 181 days during peace times, served for at least 90 days during war time, or remain in service for 6 years in National Guards or as a Reserve in order to qualify for VA mortgage loan. A mortgage lender or a loan officer who have expertise in VA loans may able to complete the loan procedure almost within one month in most cases. VA closing costs can also be adjusting into the cost of the loan; it allows the veteran to refinance their VA loan without any special payment which burdens their pockets. Lenders might even take the burden of the cost in return for higher interest rate on your loan. Borrowers must fulfill the following requirements in order to qualify for VA streamline loan. VA cash-out refinance loan is the secondary type of VA refinance loan. This loan type allows the borrowers to refinance their VA loan or a Conventional loan into lower interest rate along with taking cash as well from the value of the house. Your current mortgage loan is replaced by the VA Cash-Out refinance loan. It is often confused by functioning like a home equity but that is not the case. A qualified VA cash out refinance borrower can refinance, in some cases, up to 100% of their home’s value. VA cash-out refinance loan is available in several forms like USDA, FHA or conventional loan. Generally, Veterans opt for VA cash-out instead of any other types of loan because there is extended duration to pay off the loan. Also, this type of refinance loan has lower interest rates. Like VA streamline refinance loan, the house must be the primary residence of the owner in VA cash out refinance loan. Although there is time duration being specified that you must have owned your house but you must have enough equity to become eligible and qualify for the loan. For a Streamline Refinance is there a Certificate of Eligibility (COE) requirement? Since you have already used your Certificate of Eligibility to qualify for the first time for VA loan, it is not required to become eligible for streamline refinance of your current VA mortgage loan. Does the mortgage interest rates for VA loan types control by VA? No, VA does not control the interest rate. However, VA provides an easy and simple process for veterans to get loan, the interest rates for VA mortgage are set by the lenders or banks who buy and sell mortgages. Is it necessary to use my present loan lender to refinance my VA loan? No, the only thing which is required is that your lender is VA approved. It will be more beneficial if you look around for various lenders and then choose the one which gives you the best deal on your loan specially on interest rates. Will there be another credit check and appraisal process when refinancing? Since you have already been approved for a loan there is no need for another credit check or appraisal process, at least from the VA. Although, many loan lenders ask for an another credit check and appraisal to ensure that your still financially strong enough to pay for your loan and the value of the house is still higher than the maximum loan amount which they are giving you. To succeed for a Streamline Refinance loan, Do I have to be entitled for an enhanced interest rate? There are certain conditions and if you meet them you don’t need to entitled for an enhanced interest rate. If you are moving from one fixed mortgage to another then VA requires your IRRRL to be of lower interest rate, but if you are going from an (ARM)adjustable rate mortgage to fixed mortgage rate, the VA will permit you to go for the higher interest rate. Is there any chance of getting cash-in-hand at the closing of my VA Streamline Refinance? Yes, you can get around $6000 as cash-in-hand at the time of closing of your IRRRL. However, this money must be used for the improvements in house like energy-efficiency improvements, and must be a reimbursement for improvements which are being made within 90 days before closing. Some borrowers of VA loan might also get a cash disbursement of “OLD” escrow funds. Maximum permissible VA IRRRL loan limit? There is no maximum permissible limit on the size of the VA loan. Bit, a VA streamline Refinance will be restricted to the current loan balance as well as the accrued late fee and late charges. Also, the typical loan costs and cost of the energy efficiency improvements. change the borrower-of-record with a VA Streamline Refinance? Generally, the borrowers are obliged on original or initial VA loan must have same as borrowers obliged on refinance. However, it is not possible every time. For example, veterans and his/her spouse are obliged on a current VA loan. IRRRL can be possible during all of the following situations: Veteran and different spouse; Divorced veteran alone, an IRRRL is not available for divorced spouse alone, or a different spouse alone. VA Streamline Refinance can be used for an investment property? Yes, but you must certify that the property you have occupied in your previous VA loan is your primary home. In this case the property does not necessarily have to be your primary place to live. If you have been denied a home loan or have any questions about real estate or mortgage please contact the author, Gustan Cho Associates at 262-716-8151 or text us for faster response. Or email us at gcho@loancabin.com.